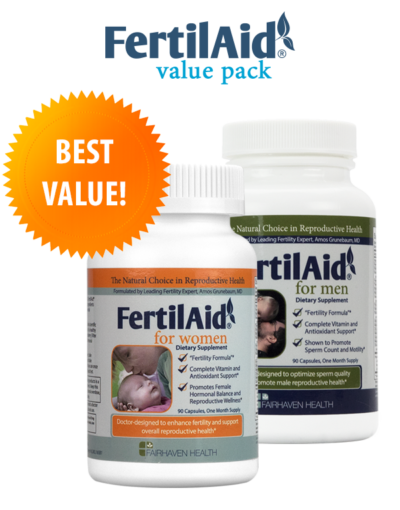 Clomid Fertility Drug Vs Natural FertilAid for Women - What Should I Know? Clomid and other similar fertility drugs tend to be the “go-to” treatment option for trying-to-conceive women experiencing ovulation disorders. Commonly prescribed fertility drugs (like Clomid) are effective in encouraging ovulation; it’s estimated that around 80% of women taking Clomid will ovulate during their first treatment cycle. 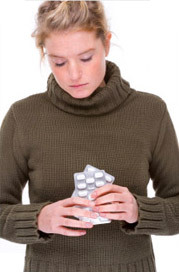 Fertility drugs do, however, come with their share of attendant side effects – vaginal dryness, blurring of vision, breast pain, etc. And “reality television” has ensured we’re all aware of the increased risk of multiple births; multiples, (either twins, triplets, or higher-order) occur with considerably greater prevalence when taking prescription fertility drugs. Perhaps most alarming, however, is the recent study data linking fertility drug usage to higher incidences of autism. What If I Want to Enhance My Fertility Naturally? Undoubtedly, there is a portion of the population that will require prescription – and/or surgical – medical intervention in order to successfully achieve pregnancy. That said, doesn’t it behoove us to first explore the safe, natural options that are available to us for encouraging regular ovulation and improving our chances of conceiving? 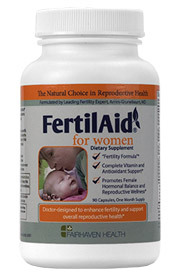 FertilAid for Women is a natural supplement designed by leading fertility expert, Amos Grunebaum, MD. It contains herbal ingredients that have been shown to exert a normalizing influence on key reproductive hormones, including progesterone, prolactin, follicle stimulating hormone (FSH) and estrogen. 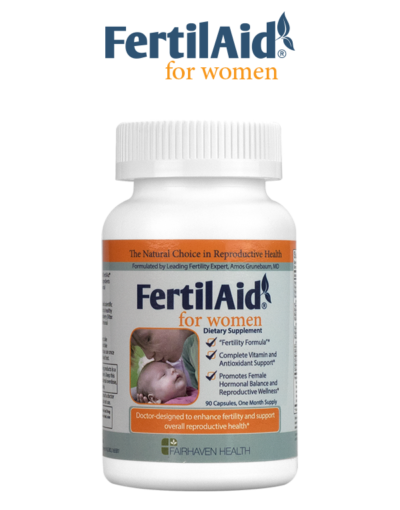 On the market since 2003 and used by tens of thousands of women, FertilAid for Women has no known side effects. I had been trying for seven years. having horrible pains at ovulation time for about a day or so, then it would stop and I had never known what was going on. I ad been to DR’s and they’d tell me it was a normal pain with ovulation but it wasn’t I couldn’t even sit down right without hurting like there was pressure inside… anyways I had heard about fertilaid on a baby forum and wanted to see what it was about. It had been 7- 9 years of ttc.. I was game for anything at this point (I’m not getting any younger). I think this was in December 2017 I took it the whole month, I still had this pain with ovulation. I thought it wasn’t doing its job and I’ve paid doctors to try and find what’s bothering me, so I quit taking it sometime in January. I end up missing my period in February (which is normal for me) then I missed one in march and had gotten a BFP on the 19th! I couldn’t believe it after all that time trying. I thought I was dreaming. the pregnancy ended in a miscarriage just a few short weeks later I feel it was a progesterone issue but hadn’t had a chance to figure it out. so I order me more fertilaid recently and have all the plans in the world on sticking with it. I cant say for sure fertilaid got me a BFP but I really believe it did. I was recently prescribed clomid and i definitely want to try fertilaid again first.. fertility drugs have such a high rate of autism and I just personally feel this is a safer alternative as long as it works.. ill definitely update as time goes by. baby dust to all**.. I started using this product of June 2017. My husband and I begin trying to conceive and were having some trouble. I went to my doctor who prescribed me Clomid. We did not want to pursue medications at the time, and I continued to use this product from June until November consistently and per the directions. On Thanksgiving morning I woke up to a positive pregnancy test. No Clomid needed! This product work for us. I also used Maca root powder (started in September) and the fertility tea. Very thankful for these products. My husband and I tried for 2 years. After the first year we got pregnant and within the first month we had a MC. After trying for another year and countless negative pregnancy test, ad tears, I started to research ways to help us conceive . 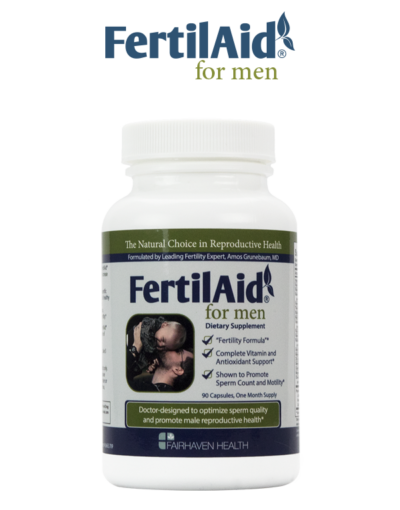 My husband started taking this product a long with motility and it was my second month on femara. That first month of him taking this product we got pregnant! I am now laying here looking at my 2 month old in pure joy, never thinking we would be lucky enough to have such a miracle happen to us. Try it! I know we will be ordering more in the future. I never write reviews but told myself when purchasing these, if they worked I would write something. Good luck to everyone trying. Never give up! I was extremely skeptical about this product at first, but after reading the reviews I thought I’d give it a shot. My husband and I have been TTC for 6 months with no luck because of my irregular cycles. Without birth control I get my period every 2-4 months. I had not had a period in over 2 months until I began taking this product! I took fertilaid as directed for 5 days and all of a sudden bam Aunt Flow came after over 2 months! I’m very anxious to see how it affects my ovulation, wish me luck in 2 weeks!